Resting in the corridor on the way home from hospital. 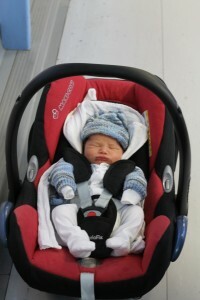 On Sunday the 26th of January 2014, we brought our little boy home from hospital, snug in a carseat and a green blanket. He’d been born five days before. The delivery itself had been uneventful, but the aftermath remains a blurred memory of retained placenta, surgery, blood transfusions, migraines and the constant presence of this new baby in the cot beside my bed. As we left the hospital, as we walked through the corridors, past the maternity wards, Acute Gynaecology, A&E and the EPU, it felt like the end of a journey — and I couldn’t help but remember the scenes that had played out there before. The first date I remember was in December 2009. I was 28, and it was the day of our work Christmas party. The night before, I’d spent hours worrying about what I was going to wear. That morning, there was a second line on the pregnancy test. We’d been trying for a baby for a year, but that was the moment things changed for me. It wasn’t just the immediate need to come up with excuses to avoid drinking, it was a change in the whole way I thought of myself: not just as myself anymore, but as someone who could be a mother. So I didn’t drink at the Christmas party that night, or at the ones that followed. I started looking at baby clothes, writing a journal, reading the week-by-week guides on the apps I’d downloaded to my iPhone. There was some spotting at around week six, but I went to the walk-in clinic who sent me to A&E, who sent me to the EPU… and I saw a tiny smudge on a scan with a flickering heartbeat. All was fine. We told our families, my boss, and a few friends. I was sick almost every morning, which I was told was a good sign. I remember the 1st of February 2010, walking to the hospital with my husband for our 12-week scan. I remember saying to my husband, ‘what if there’s no baby?’ but I wasn’t really worried. After all, we’d already seen the heart beating. This time, the sonographer didn’t say anything until he told us that he couldn’t see anything. No more heartbeat. No more baby. A ‘missed miscarriage’, it said on the leaflet they gave us afterwards. They took some blood, they took my maternity notes. My phone buzzed with text messages from friends asking how the scan went. A couple of days later I had an ERPC. I had my husband call the hospital and ask for the first scan report back, as I wanted some proof that our baby had existed. Just like that first positive pregnancy test, the miscarriage changed everything. It was hard to focus on anything else both at home and at work. My husband, family and friends were very supportive, but I would feel the tears coming whenever I saw anything baby related: a photo of a scan on Facebook, an email announcing the arrival of a colleague’s little girl, even baby buggies on the street. And then, within about two months, I was pregnant again. Pregnant and terrified. I was obsessive about what I ate, what I did. I read up on all the facts on figures, trying to work out our odds. When I experienced spotting again, I was at the Early Pregnancy Unit the next morning waiting for a scan. When I had a major bleed at 11 weeks, I thought it was over — but after a long night in A&E and then Acute Gynaecology, there was our baby on the screen, safe and well. Our little girl was born on December 5, 2010. It was a difficult delivery (and I’d find out six weeks later that the placenta hadn’t totally come away, resulting in another ERPC), but I still couldn’t believe it. Everything was okay. 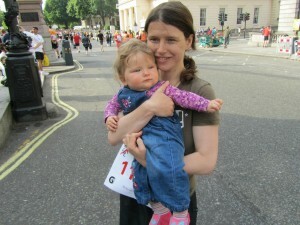 Me & my daughter before the British 10k in 2011, running to raise funds for the M.A. A year and a bit into parenthood, we decided it was time to expand the family. I stopped breastfeeding, came off the pill, and was pregnant within two months. 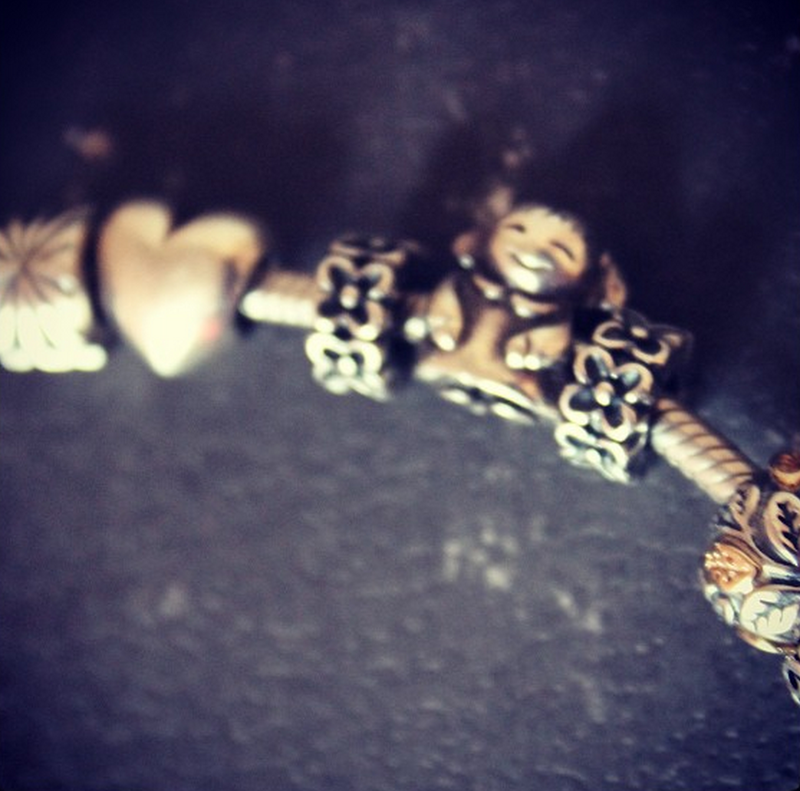 It was Father’s Day when I found out — a special gift for both of us. I didn’t know how far along I was, but the digital pregnancy test had come up 2–3 weeks, so the hospital did my booking-in appointment within a couple of days of me seeing the GP. Afterwards, the midwife sent me for a scan so the EPU staff could work out the dates. There wasn’t a heartbeat. They weren’t even sure if they could see any evidence of pregnancy at all. The EPU nurse took blood that day and asked me to return during the week for further tests so they could see if my hCG levels were rising. She said that they’d call with the results. I remember sitting in the park across from my daughter’s nursery when my phone rang. I remember being told that the pregnancy wasn’t viable. I asked for another scan, and then at that scan, there was a baby. We saw a heartbeat. I was told not to get my hopes up, but how could I not? If that little bean could feel vibes, I wanted it to know how wanted it was. We cancelled our trip to Sweden that week in favour of somewhere closer to home. I miscarried early in the morning of July 6, 2012 in a Salisbury hotel room. We took the first train back to London, back to the EPU where it was confirmed that I had miscarried. We were told we could always try again. We tried again for six months without success. In the scheme of things, six months is probably not a long time, but after the miscarriage it seemed like forever. Long enough to book in for testing at a fertility clinic on my 32nd birthday, where during their routine 3D scan they found that I had a uterine septum (an extra wedge-like partition in my uterus). I’ve since had various health professionals tell me different things about septums: that they can cause miscarriage at any stage because the egg can implant in an area that doesn’t have sufficient bloodflow; that they ‘only’ cause second trimester miscarriages; I may have been lucky to have had my daughter. I remember one consultant saying that we didn’t need to do anything about the septum. We were young, he said. We might have several more miscarriages, but we would probably have another child eventually. I’m sure he meant well. I’m not an expert in this area, of course, and I can only speak from my own experience. I had surgery to remove the septum in March 2013. Our son was born on January 22 this year. Walking through the corridors of the hospital several days later, these were the days I remembered. At that stage, I had been working with the Miscarriage Association on their digital strategy for a couple of months, and had observed on the forums and the Facebook groups just how important these days can be. I had seen how often these days are remembered by those directly involved, but left unacknowledged by others. I knew how helpful it could be to share experiences, how talking about this painful topic myself sometimes led to others talking, how somehow we were stronger together. The two Forget-Me-Nots spacers on my Pandora bracelet, memorials to our two lost babies. Over the past month, I’ve been working on building this Days That Matter website for the Miscarriage Association. I hope it can become a space where our stories can be told and our dates acknowledged, and where we can come together to raise awareness about miscarriage. My own two losses, the two invisible children I’ll never get to see grow up, will never be forgotten. Remembering them is painful, but they’ve helped me to once again be involved in something bigger than myself. I can only hope that this website becomes a fitting tribute to their memory — and to the memory of all those babies that we don’t get to take home.